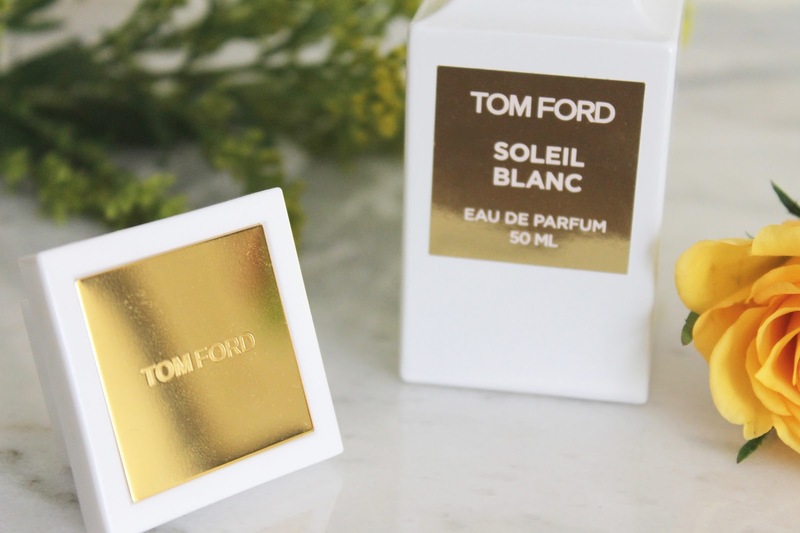 Leave it to Tom Ford to create an unexpected summer fragrance with the perfect amount of warmth to add an alluring, addictive quality. 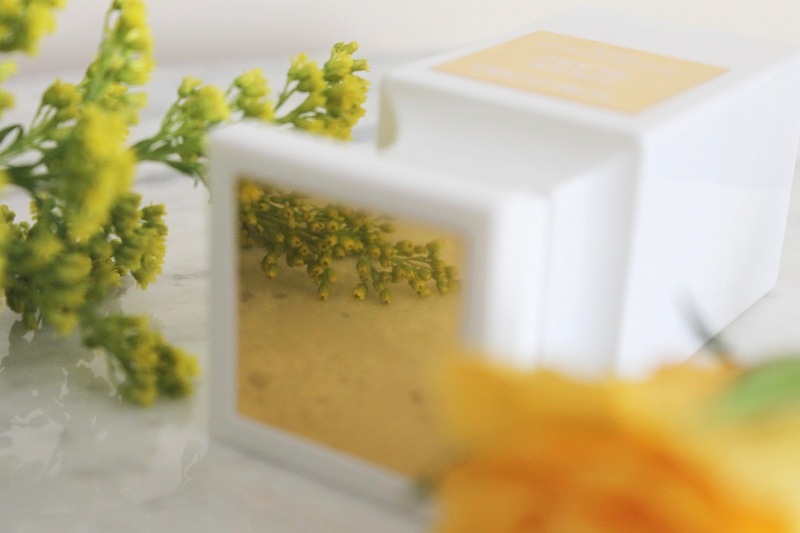 From the milky glass bottle to the hint of warm citrus - this scent embodies the chic lifestyle of the Riviera on a warm summer day and evokes memories of sunkissed skin, ripe fruit trees, and a Mediterranean breeze. The inspiration for the fragrance is described as "Remote private islands where summer lasts all year and one day seamlessly blends into the next inspire Soleil Blanc, an addictive solar floral Amber alive with seductive refinement and refreshing decadence. 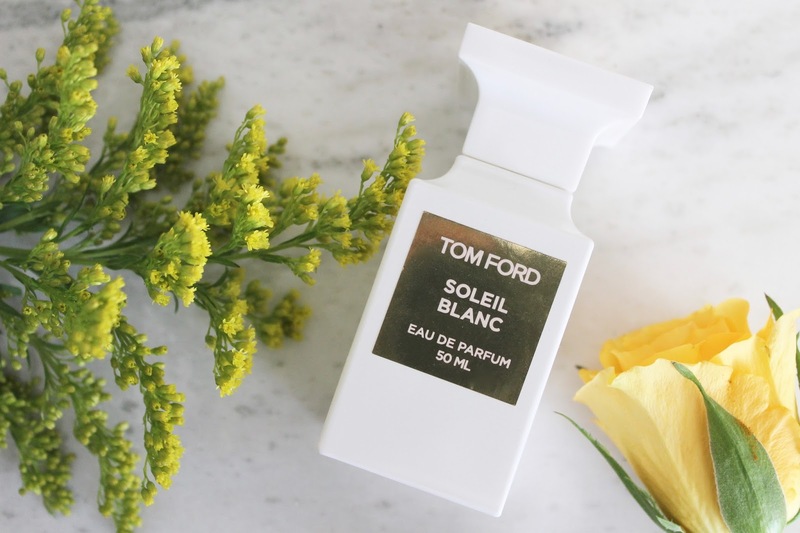 Tom Ford's latest private blend creation unapologetically exudes the endless persuit of sun and luxury that defines Tom Ford Soleil." This is a scent with amazing staying power, sexuality, and certainly one that exudes confidence. To me, it's the perfect addition to Tom Ford's line of summertime-appropriate scents inspired by famous Italian resort destinations. 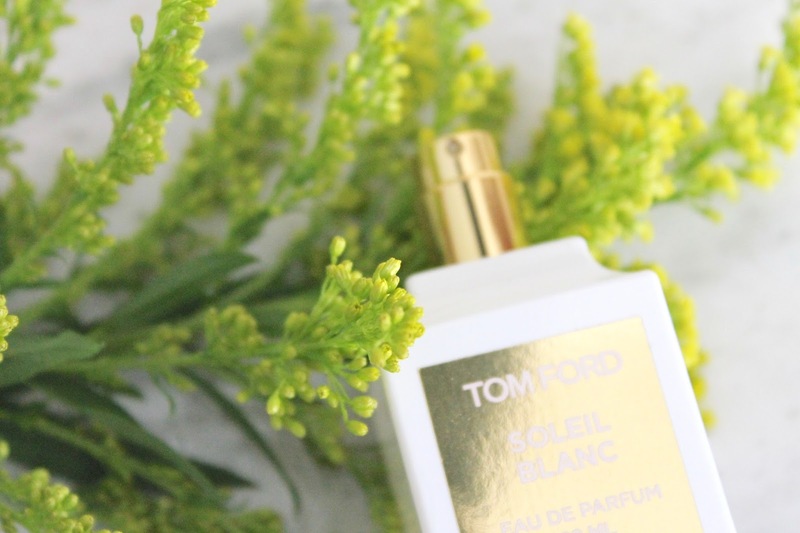 The perfect fragrance accompaniment to a beautiful white dress, dainty gold jewelry, and strappy leather sandals. It's one of those smells that instantly transports you to a European summer and I'm certainly alright with that. I can already see myself wearing this through the season and it has me anxiously awaiting its' start. 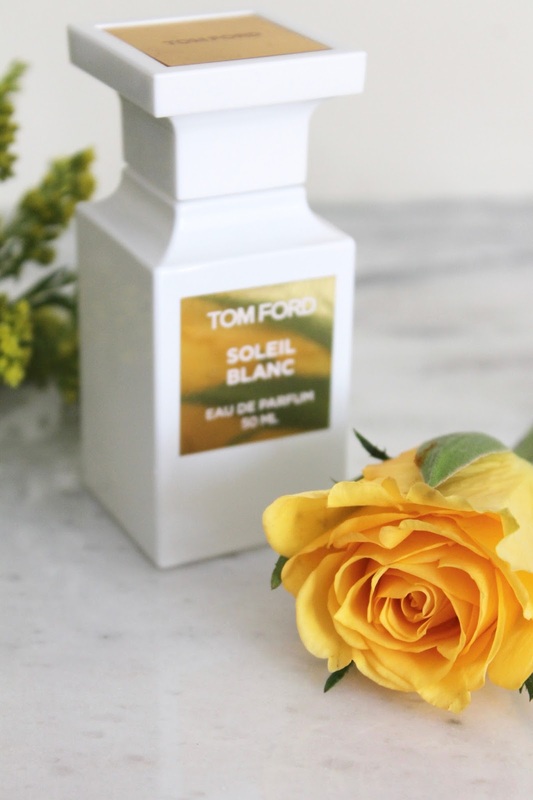 Have you tried Tom Ford Soleil Blanc?